From 17 to 20 february. 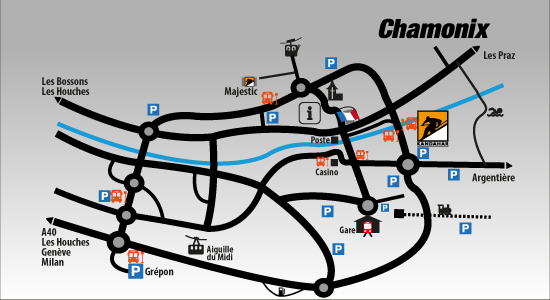 Line 1 or 15 From Chamonix to Bellevue or Prarion, Les Houches 1 bus every 10 min. Line 16 to Bellevue or Prarion Bus every 10 min. Tramway du Mont Blanc to Bellevue top station. To watch training sessions on 17/18 Feb.
P&R STEP Les Houches, Trabets. Parking closed to public 19th & 20th Feb.
On race days 19 - 20 February. No vehicle access between Saint Antoine and le Prarion. 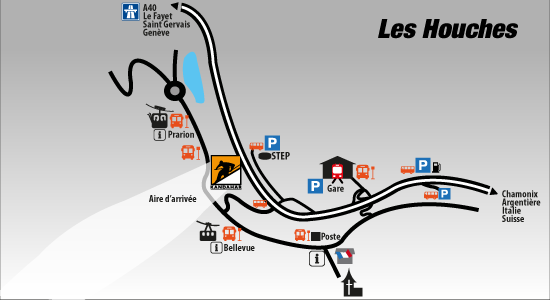 Vehicles arriving from the upper valley should exit at TOTAL petrol station les Houches. P&R on route Blanche + 1 bus every 10 min.